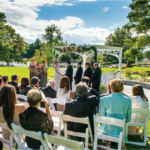 Vermont offers a large selection of wedding venues at the state’s many resorts with wedding planners on-site. These resorts offer 4-season desirability and plenty of activities for guests to make your wedding special for them too. It’s no wonder Vermont is extremely popular for destination weddings. So much so, that most venues must be reserved a year to a year and a half in advance. Depending upon just how you imagine your fairytale wedding, these suggestions might just fit the bill. 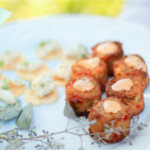 If it’s important to you to serve your guests a wedding dinner that is steps above the usual banquet fare, consider The Essex Resort & Spa in Essex, Vermont. Known as a culinary resort, The Essex will offer a menu prepared by world-class chefs. In addition, the on-site full-service spa is ideal for de-stressing before the ceremony. With a complete range of beauty services, bride and bridesmaids can have hair, skin, and nails looking their best. The Kimpton Taconic Hotel in Manchester Village offers a uniquely Vermont venue. Completed in 2015 and providing all the amenities of the 21st century, the hotel harkens back to Vermont’s grand inns of the late 19th century with its wide front porch and village setting. Whether you select indoors in the Trillium ballroom or outdoors amidst the magnificently landscaped grounds, the Taconic will bring beauty and elegance to your wedding day. 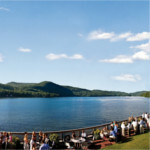 If “setting” has the highest priority on your list, check out the Lake Morey Resort in Fairlee, Vermont. Surrounded by natural beauty and set along the shores of a pristine lake, Lake Morey Resort is the perfect backdrop for your special day. The resort also offers a host of activities on-site for your guests, winter or summer. 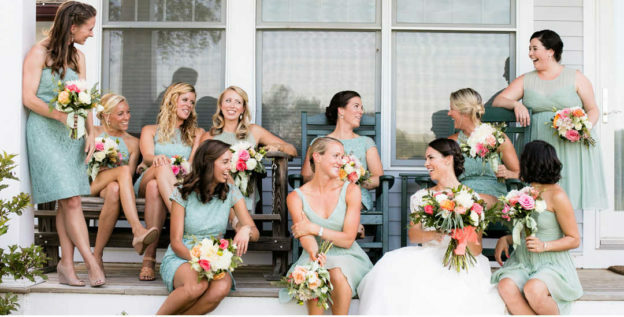 Choose The Green Mountain Inn for a wedding of unparalleled sophistication and old-world charm. Located in the historic village of Stowe, the inn itself is the perfect mix of traditional décor and modern amenities. If you can picture yourself making your grand entrance by descending the Mansfield House staircase to enter the fireplaced living room, this is the venue for you. 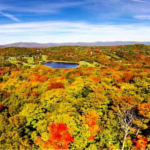 Located just outside Stowe Village on 60 magnificent acres, lies the Stoweflake Mountain Resort & Spa. For a venue that offers wedding packages that cover all the details and suit every preference and budget, Stoweflake is a great choice. The on-site spa is also a plus for all pre-wedding beauty services. Want to add something truly unique to your wedding experience? 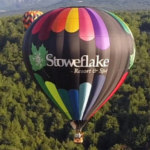 At Stoweflake, the platinum wedding package also includes a two-hour, hot air balloon ride before, after, or on the day of your wedding, plus a complimentary overnight stay with champagne on your first anniversary. If skiing is your passion, you might feel most at home at Stratton Mountain Resort. A four-season resort, Stratton’s wedding planners will help you plan a magical day any time of the year. Imagine your photos framed by magnificent snow-clad mountains. Or a wedding at The Summit with glorious fall foliage spread out below. Stratton also has a huge selection of lodging choices to fit any size group or budget. 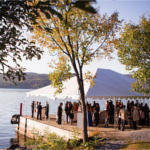 Basin Harbor, open mid-May to mid-October, offers Lake Champlain as a backdrop to your fairytale wedding. With a large number of indoor and outdoor venues, Basin Harbor can certainly accommodate the wedding of your dreams. For a wedding that is very, very special, choose the Completely Yours package to assure yours will be the only wedding at Basin Harbor that day or even that weekend. For a totally exclusive event, choose the Ultimate Wedding Package. This entitles you to have exclusive use of the entire resort for you and your guests for the whole weekend! All these resorts have wedding/event planners on staff to help you make all decisions in the least stressful way. They also coordinate everything on the day of the wedding, so you can fully enjoy this important day. So, when it comes to answering that initial question of “where,” consider Vermont resorts for your fairytale wedding. Now all you have to do is find the perfect dress! This entry was posted in Activities, Now Trending, Stay, Weddings on January 31, 2017 by Linda Warner.